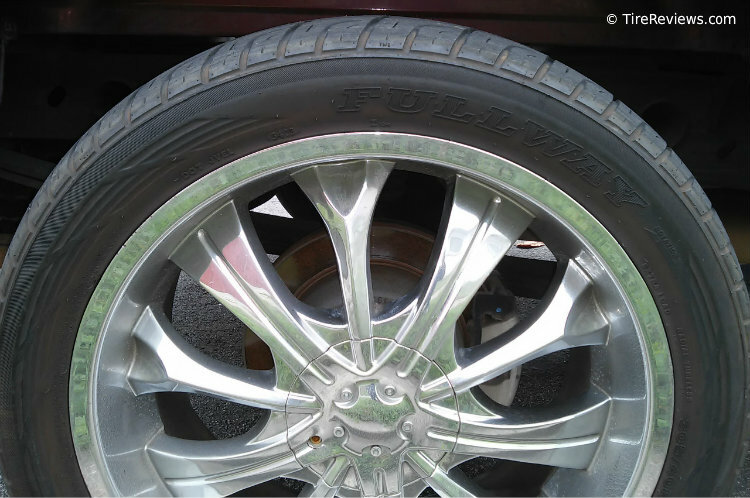 We looked at a Fullway tire mounted on a GMC Yukon. The DOT code begins with "JV", which is registered to the Fullrun Tyre company in Qingdao, China. The company also makes tires under the Turnpike, Autogrip, Adereneza, Antyre, Versatyre, and HighPlus brands. Pictured below is a Fullway SUV tire mounted on a GMC Yukon.